Citadel Capital made new principal equity investments of $9.6m (EGP57.0m) in 2Q11 and offers more details from its Q2-report. Citadel Capital (CCAP.CA on the Egyptian Stock Exchange), the leading private equity firm in the Middle East and Africa, announced its standalone financial results for the second quarter of 2011, reporting a stable base of total assets under management (AUM) at $4.1bn quarter-on-quarter. That figure represents an 8.1% rise year-on-year. Not included in this total is $210.5m (EGP1.2bn) in equity and debt fundraising for platform and portfolio companies including $164m in senior debt financing for Rift Valley Railways from six leading global financial institutions and a leading East African private-sector bank signed in 3Q11; $21.5m in institutional funds raised in the quarter just ended for Nile Logistics, to be drawn down in 3Q11; and $25.5 in debt and equity invested by International Finance Corporation in a portfolio company of Citadel Capital's mid-cap fund. As of 30 June 2011, the portfolio net asset valuation (PNAV) of Citadel Capital's principal investments rose 6.4% from December 2010 to $0.9bn (EGP5.3bn), including the effect of the recently-completed capital increase via rights issue at par. Conversely, PNAV per share (PNAVPS) declined 19.2% to $1.02 (EGP6.07) owing to the dilutive effect of newly issued shares and a change in valuation methodology to fair value on investments previously held at market. On a standalone basis, Citadel Capital reports a net loss of $4.2m (EGP25.0m) for 2Q11 on revenues of $2.7m (EGP16.3m). 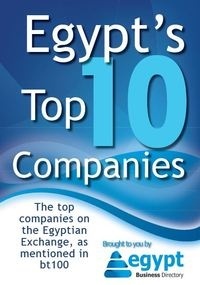 This compares with a net profit of $0.05m (EGP0.3m) in the same quarter of 2010. In the first half, the firm recorded a standalone net loss of $8.7m (EGP51.7m), on par with expectations in a period with no exits and after upstream oil and gas write-downs taken at the end of FY10 impaired some $3.4m (EGP20.33m) in advisory fees that are recorded in the notes to the Firm's audited statutory standalone financials, but which are not on the revenue line. That decision also impairs interest income from convertibles, with the firm impairing 50% of the interest recorded from the NPC convertible and 100% from the NOPC / Rally Energy convertible. This income is also recorded on separate books. The final disposition of both advisory and interest income will be determined at the write-back or exit of these investments. Commenting on the outlook for the balance of the year, Citadel Capital Chairman and Founder Ahmed Heikal said, "The macro picture in Egypt is today essentially as we had forecast: We see ongoing macroeconomic challenges continuing to prompt foreign investors to sit on the sidelines waiting for visibility, a reality we expect will continue to play out over the coming 12-18 months. Since the Revolution, we have engaged in housecleaning and ensured that our investments are in the best positions possible to weather the economic fallout from political changes that we are convinced will be positive for business in the long run. Our investments are firmly on the right side of these trends: Our platforms are heavily weighted toward exporters, which will benefit from any further devaluation, as will our commodity plays in sectors including agriculture, mining and oil and gas." "We have important investments outside Egypt that continue to deliver results, and energy deregulation in Egypt and beyond has always been one of our core investment theses. Time is accordingly on our side: We are not fighting the currents, but sailing with them. This is a very large part of why we have been so successful this year in winning substantial repeat investment from sophisticated global LPs and regional co-investors alike. We have anticipated since the earliest days of the Revolution that liquidity would be king in 2011-12, leading us to impose the same fiscal discipline at the Citadel Capital level as we have at our platforms. This effort began with a program of cost-control and cash preservation that has seen the cash component of the firm's OPEX spending decline more than 30% year-on-year in the first half while total OPEX spending has eased 16.1% in the same period," he added. "At the same time, we have taken steps to substantially strengthen our balance sheet, putting Citadel Capital in a robust financial position heading into 2012. Ultimately, we expect this will mean adding more than $200m (EGP1.2bn) to our war chest — more than sufficient to ensure our 19 platform companies weather any additional economic headwinds. In the event of an improving business climate, this capital will provide us with the flexibility to both accelerate the development of our portfolio and to pursue compelling new opportunities of new forms at the platform and Citadel Capital levels. We will, however, remain very cautious," he said. "This effort began with our recently concluded $175.6m (EGP1.05bn) rights issue via a capital increase at par, including $120m in fresh cash. As we recently disclosed, the rights issue has been fully covered with strong participation from our long-term Gulf investors —as well as participation from international and regional institutional investors — that we take as a strong endorsement of our business' fundamentals. We are also now finalizing a $150m (EGP900m) long-term financing facility about which we will be able to speak in more detail in the coming weeks," he added. "Meanwhile, we expect to add further to our cash balances through minor divestitures (rebalancing of our portfolio) over the coming six months at the same time as we begin recovery of substantial loans advanced to platform and portfolio companies whose cashflow positions will soon make repayment possible." "In sum, our balance sheet is strong with fresh cash leaving us ideally situated to grow our portfolio, weather any economic challenges in 2012-13, and prepare for transformative exits in the years ahead as we chart a new future for Citadel Capital — all while maintaining the caution that has been the hallmark of 2011," Ahmed Heikal said. • Total assets under management Total AUM rose 8.1% year-on-year to $4.1bn (EGP24.2bn). • Total principal investments (including convertibles and interest-bearing loans to its Platform Companies) stood at $903.2m (EGP5.0bn) at the end of 2Q11, a 1.4% decline from $916.0m (EGP5.1bn) the previous quarter and a 10.9% rise year-on-year. • Citadel Capital made new principal equity investments of $9.6m (EGP57.0m) in 2Q11. • Capital Increase Via Rights Issue at Par. Citadel Capital announced on 19 October 2011 that shareholders had fully subscribed to its EGP1.05bn ($175.6m) capital increase via rights issue at par. The rights issue added EGP718m ($120m) in fresh cash to the Firm's balance sheet. • $ 25.5m from IFC for New Paper Mill: Grandview Investment Holdings, a company managed by Sphinx Private Equity Management, announced on 3 April 2011 that the International Finance Corporation (IFC) would invest to complete the construction of a new paper mill, a project initiated by El Motaheda S.A.E., a subsidiary of Modern Shorouk for Printing and Packaging. • $21m in European Investment for Nile Logistics: Citadel Capital announced on 28 June 2011 that the German development finance institution DEG (Deutsche Investitions- und Entwicklungsgesellschaft mbH) and the European Investment Bank (EIB) will jointly invest $21m in the Opportunity-Specific Fund controlling Citadel Capital's Egyptian river transport investments. DEG has contributed $14m of the investment, while EIB has invested a further $7m. • NVPL Farmout: Nile Valley Petroleum Ltd, Citadel Capital's platform company in the Sudanese oil exploration sector, announced on 19 June the farming-out of 30% participating interest in two exploration blocks in Sudan. State-owned Sudanese oil company Sudapet would pay $10m to increase its participating interest in Blocks 9 and 11 to 59% from 29%. NVPL has consequently reduced its participating interest to 41% and is entitled to recover almost all of the recoverable cost pool — $73m —for Blocks 9 and 11. • Gozour: Gozour revenues grew 2% year-on-year in 1H11 despite the slowdown in the Egyptian economy following the Revolution. Growth was driven primarily by sales at Dina Farms and confectioner Rashidi El-Mizan. Dina sales grew by more than 35% year-on-year in the first half, driven by improving agricultural productivity and higher prices, while EBITDA margins climbed 80% on the back of high-value crops including potatoes, wheat, parsley and apricots. Notably, Dina Farms now commands a 54% share of the market for fresh (Pasteurized, non-UHT) milk approximately one year after introduction to the local market. • Wafra Harvest: Wafra, Citadel Capital's Platform Company for investments in the Sudanese agricultural industry, announced on 4 July 2011 that it had completed its first commercial wheat harvest at Sabina, the Portfolio Company that is developing 254,000 feddans (263,652 acres) in northern Sudan. The 3,000-feddan (3,114 acres) harvest was taken to market at $450 per ton, more than $100 per ton above target. • End of talks with Abraaj Capital: Citadel Capital disclosed on 26 July 2011 that its principal shareholder, Citadel Capital Partners Ltd (CCP), had ended talks with Abraaj Capital, a Dubai-based private equity firm, regarding a potential investment in Citadel Capital. CCP stated that the parties did not reach agreement on terms that would — in the view of CCP and of its advisors, Citigroup — maximize value for all Citadel Capital shareholders equally, and adequately protect the interests of the firm's stakeholders and co-investors. • Latest Class of Citadel Capital Scholars Announced: The Citadel Capital Scholarship Foundation, the largest scholarship foundation in Egypt, announced on 15 July 2011 that it will fully fund the graduate educations of 14 talented young Egyptians, 12 of whom will undertake masters-level studies and two of whom will pursue their doctorates. This brings to more than 80 the number of students whose graduate educations at leading international institutions has been funded by the Foundation. Management's discussion of operational performance as well as details of Citadel Capital's 2Q11 standalone and consolidated financials are to be found in the full Business Review, available at citadelcapital.com.